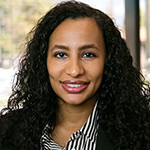 Nada joined Experien Group in 2017 after working 12 years at FDA’s Center for Devices and Radiological Health (CDRH). Since 2010, she was a CDRH Senior Science Health Advisor, serving as an expert consultant and senior advisor in the Center Director’s office. Nada combines her deep institutional knowledge with innovative approaches to guide companies through successful regulatory submissions. Leveraging her years of reviewer experience and broad FDA exposure, she develops actionable premarket strategies and helps medical device manufactures generate regulatory/clinical roadmaps for success. While at FDA, Nada led postmarket investigations and applies this knowledge to help companies manage postmarket requirements. Nada holds an MSc. in Biomaterials and a BEng. in Biomedical Materials Science & Engineering from Queen Mary College, University of London. She earned her MPH from Johns Hopkins Bloomberg School of Public Health and holds certifications from the American Society for Quality.